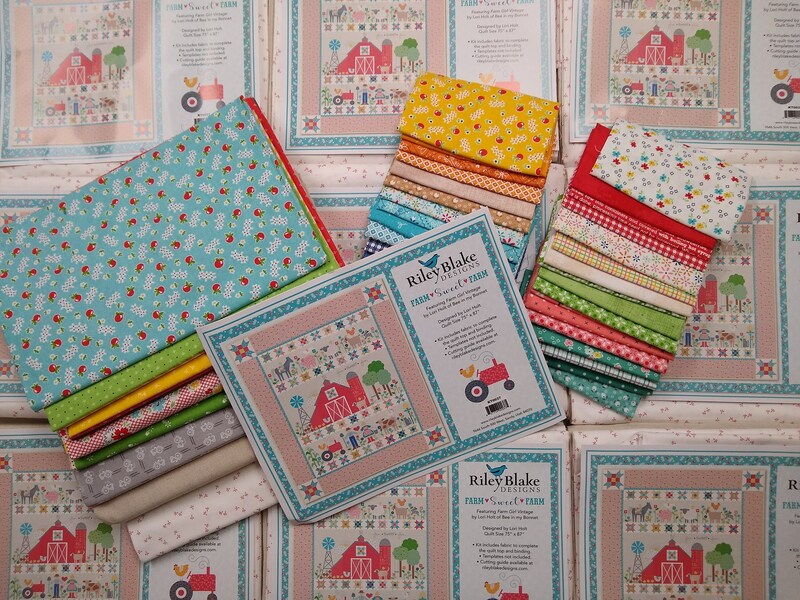 Farm Sweet Farm Quilt Kit by Lori Holt (Bee in My Bonnet) For Riley Blake. Finished Size - 75" x 87"
For backing fabric, 5 and 1/3 yards would give you 4 inches overage (as a guide). 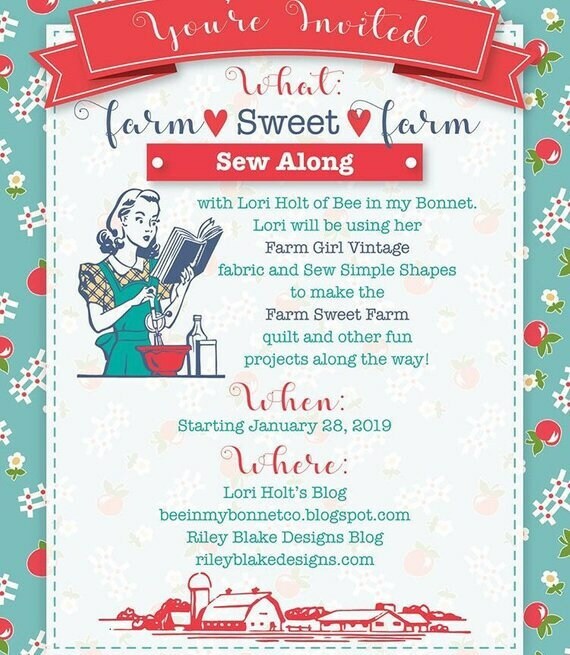 Great product & wonderful service! Thank you for the past shipping! Arrived in a timely manner. Packaged well. 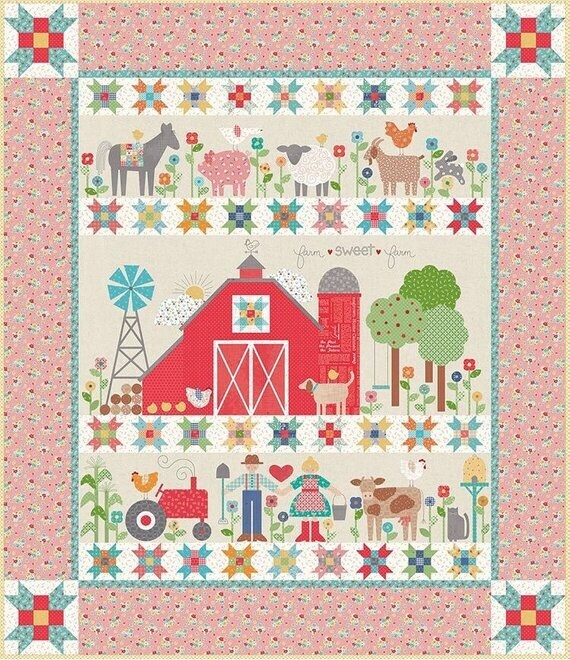 great quilt kit: so many fabrics, and I love the template that I ordered with it.